An aid convoy on Wednesday reached tens of thousands of displaced Syrians in desperate need of assistance near the Jordanian border, in the first such delivery in three months, the Red Crescent said. The convoy of 133 trucks carrying aid including food and clothes for children reached the outskirts of the Rukban camp, said a spokeswoman for the Syrian Arab Red Crescent. “Three months after a first humanitarian aid convoy entered the Rukban camp, the Syrian Arab Red Crescent in collaboration with the United Nations is continuing to carry out its duty towards more than 40,000 displaced people in Rukban,” SARC said in a statement. Last month, the U.N. children’s agency UNICEF said eight children had died at the camp due to winter cold and lack of resources. The camp, home to displaced people from across Syria, lies close to the Al-Tanf base used by the U.S.-led coalition fighting the Islamic State group. The convoy also includes healthcare items and medical supplies to immunize women and children, it said. #Syria 🇸🇾 | Guaranteeing humanitarian access throughout #Syria is an absolute priority for France. “A vaccination campaign will be launched, under the supervision of a medical team, to immunize children against measles, polio, tuberculosis and hepatitis,” SARC added. Wednesday’s delivery is the first to reach the camp on the Jordanian border after a first smaller convoy from Damascus on November 3. The November delivery was the first to reach the camp from the Syrian capital in around 10 months, after another via the Jordanian border in January 2018. Conditions inside the camp have deteriorated, with many inside surviving on just one simple meal a day, often bread and olive oil or yogurt, according to one resident. In a desert camp along Syria’s border with Jordan, nearly 50,000 displaced people struggle to eke out a living. There are no clinics, no diapers and little food – welcome to Rukban. 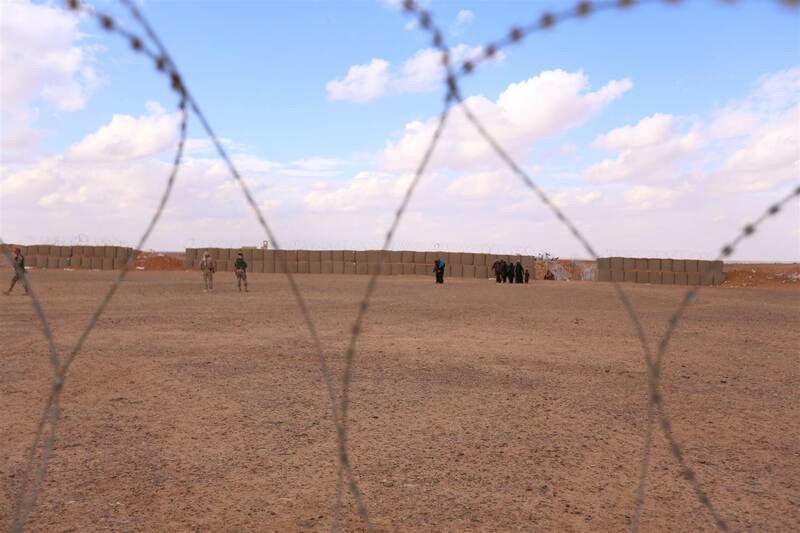 “We’ve nicknamed it the camp of death,” said Abu Nashwan, who has lived in Rukban with his family since escaping fighting in Homs province over three years ago. Conditions have deteriorated drastically since he and his family arrived, culminating earlier this month in the deaths of two babies within a 48-hour period.